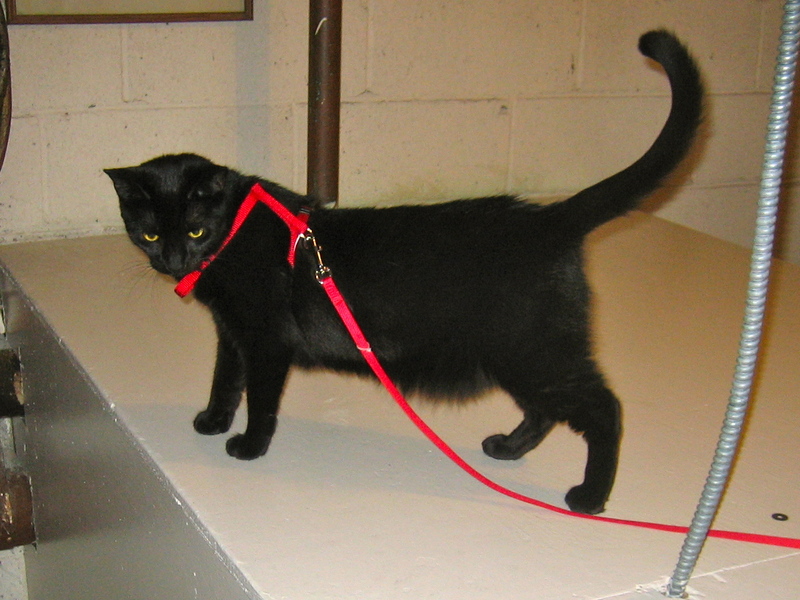 Anyway, before I get into my crafts, you’ve requested it and I’m delivering: pictures of Sisko on her leash! 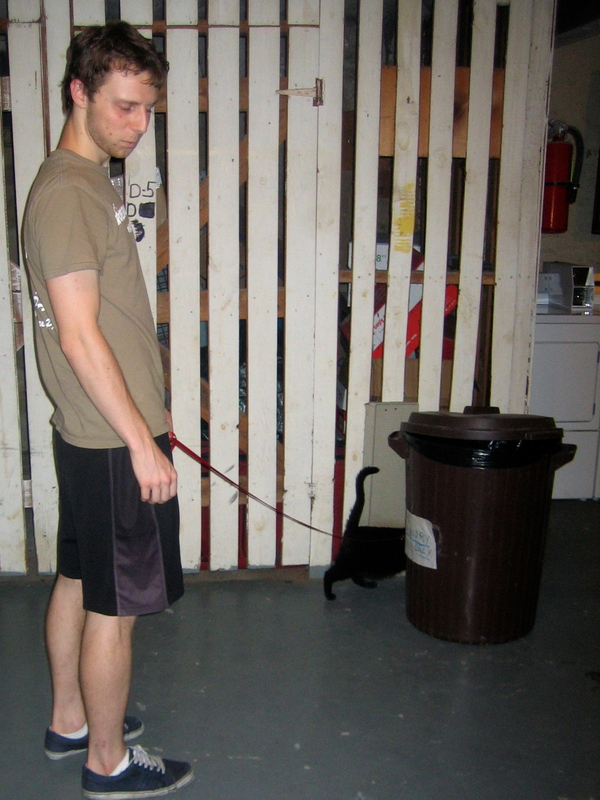 Okay, back to crafts! 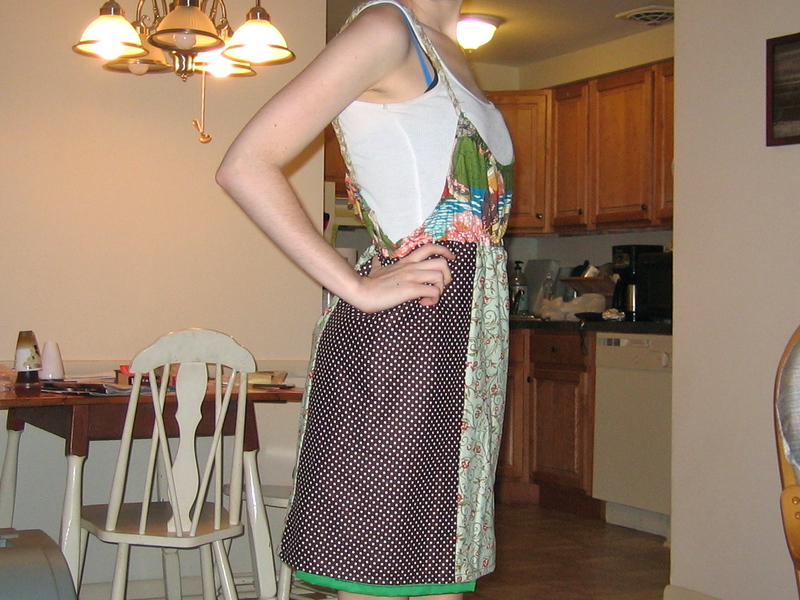 On Friday, I went through my fabric odds-and-ends and pulled out a bunch of fabrics I thought would be nice on a fun summer dress. 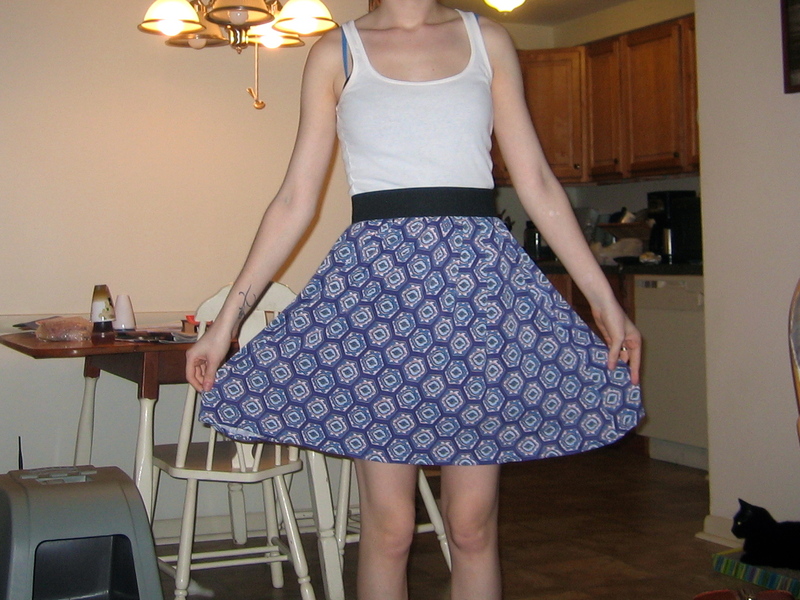 I was going to piece them together as is, but then I thought it might be better with a sort of slip underneath. 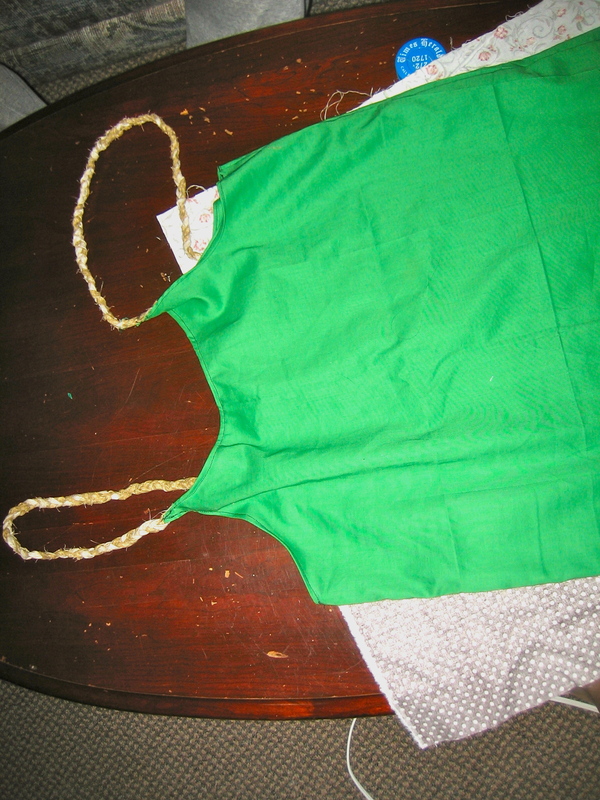 I got out some bright green fabric and made a basic baggy dress shape. 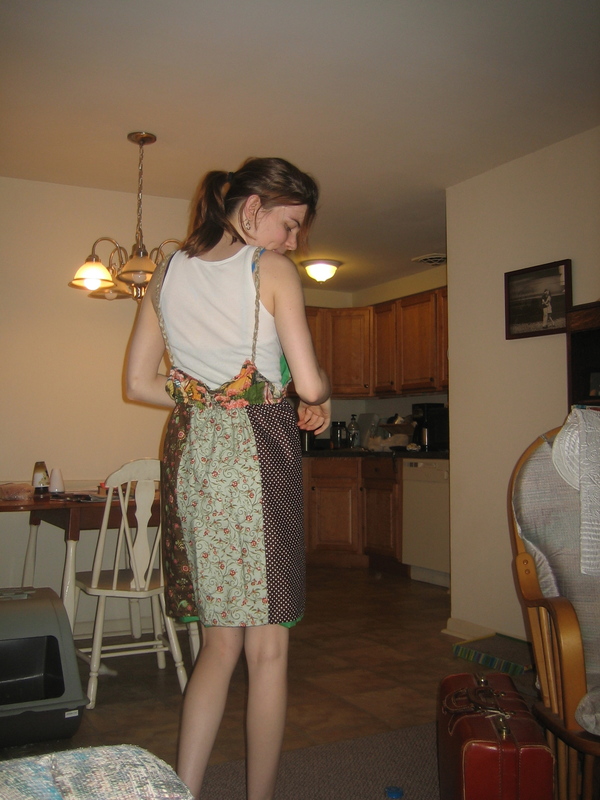 Then, I braided some brown fabric together and attached them as straps. 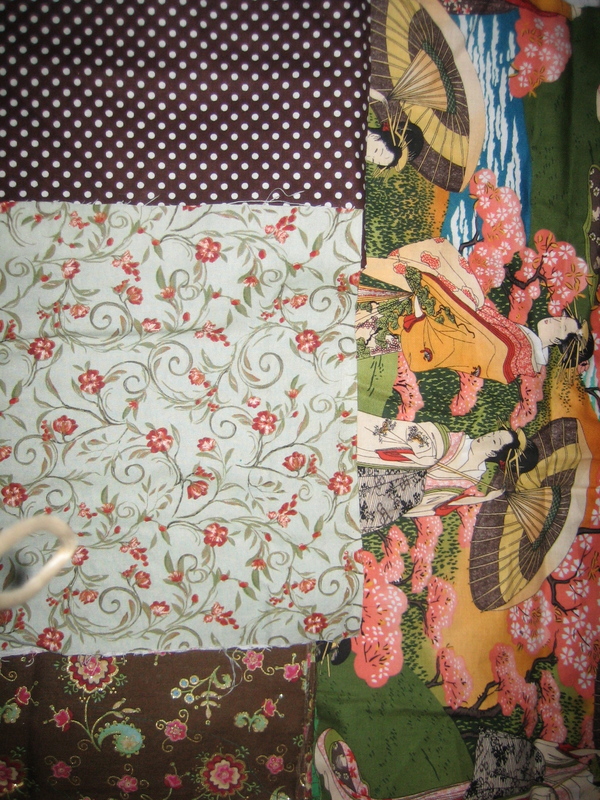 After that, I laid out the patterned fabrics and rearranged them until I liked them. Then I cut the right sized pieces of each. I really like it; it’s got a neat feel to it and I love how the green underlayer pops out at the bottom! (Unplanned, but nifty!) Project 33 of 52: Complete! Today, I went to JoAnn’s and picked up some jersey fabrics and a white cotton blend with pastel polka dots that, for some reason, is named “Burlap Idaho Potato.” It wouldn’t have been my first choice for a name, but alright. 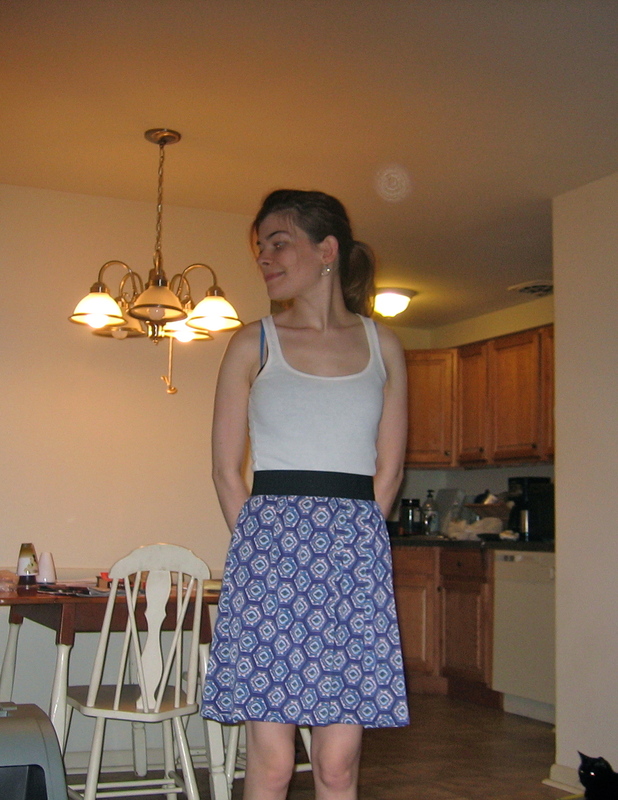 I really like the pattern on this fabric and I love how adding the black elastic to the outside changes the look of the skirt! Project 34 of 52: Complete!